Gold Coast, Gatton, Sunshine Coast and everywhere in between! 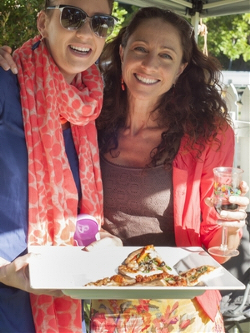 Whether you’re planning a pizza party, rehearsal dinner, birthday celebration, or corporate event, Briz Woodfired Pizza’s Pizza Catering Brisbane is the perfect way to create a fun and unique experience for your guests. We’re passionate about pizza and people, love what we do, and we do it very well. There’s a very special party vibe that is created when pizza is involved, and when your guests are served up the highest quality, gourmet pizzas your event becomes even more memorable. Our ‘all you can eat’ pricing will leave your guests not only with full bellies, but with the feeling that they’ve just experienced something unique and enjoyable, and above all, super tasty! 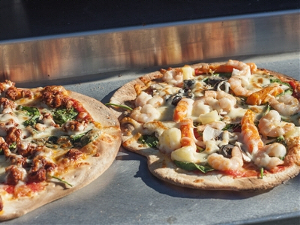 We bring our custom-designed mobile wood fired pizza ovens to your home or venue and cook delicious gourmet wood-fired pizzas in full view of your guests. At Briz Woodfired Pizza, we only use the highest quality ingredients including homemade sauces and homegrown, and fresh toppings. We offer a quality selection of pizza menus for you to choose from to suit you, your guests and your budget. Our pizzas are 9 inches in diameter and our ovens can cook up to 5 pizzas at a time. 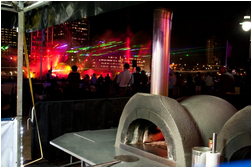 This ensures a consistent flow of wood fired pizzas for your guests to enjoy. We bring our passion and experience to you anywhere, anytime!